Aidy Bryant, Tim Robinson and Cecily Strong to Join as Featured Players. Seth MacFarlance to be season's first host. 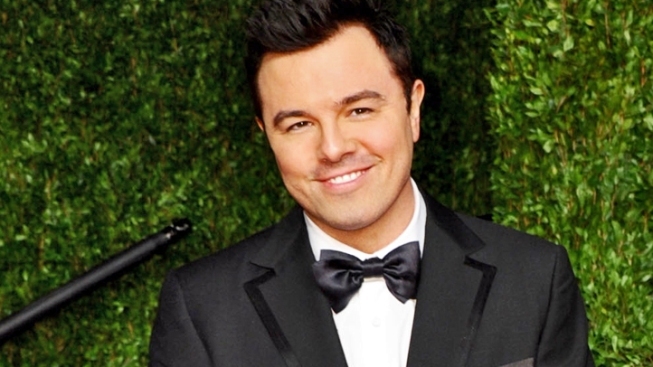 "Family Guy" creator Seth MacFarlane will be the first guest host for "SNL's" 38th season, beginning Sept. 15. Just in time for Saturday night's fall return, NBC's "Saturday Night Live" has added three featured players, Aidy Bryant, Tim Robinson and Cecily Strong. The comedy sketch show had to rebuild its cast ranks following the departure last season of key players Kristin Wiig, Andy Samberg and Abby Elliott. Like many past and current members of the "SNL" crew, all three additions arrive at Rockefeller Center with pedigrees in improv from comedy breeding grounds in Chicago. Bryant (originally from Phoenix, Ariz.) trained with iO Chicago, Annoyance Theatre and was an ensemble member of the Second City E.T.C Stage. Robinson (from Detroit, Mich), also an alumnus of The Second City, performed on their Mainstage and in their National Touring Company. He has also performed at the iO Theater in Chicago and at the Just For Laughs Festival in Montreal. Strong (from Oak Park, Ill.has performed as a member of the Second City National Touring Company and has studied at the iO Theater. The newbies will join featured players Taran Killam, Jay Pharoah, Nasim Pedrad, Vanessa Bayer and Jason Sudeikis, whose Mitt Romeny impression will be a key sketch anchor during the election season. SNL enters its 38th season on Saturday, Sept. 15, with comedian Seth MacFarlane as host and musical guest Frank Ocean. Other hosts this season include "Looper" actor Joseph Gordon-Levitt (Sept. 22) and James Bond himself, actor Daniel Craig, who will tackle the hosting duties on Oct. 6.